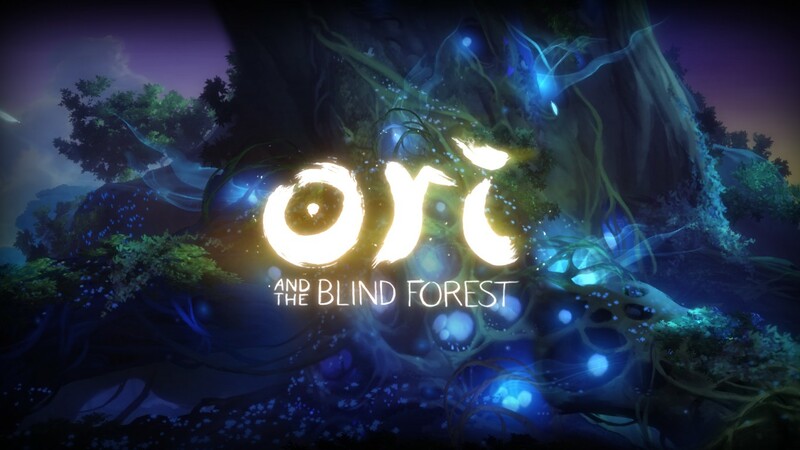 The Refined Geek » Ori and the Blind Forest: The Night I Set The Sky on Fire. Ori and the Blind Forest: The Night I Set The Sky on Fire. Puzzle-platformers are the corridor shooter of the indie scene; they are the genre that nearly everyone attempts in their quest to become the next big thing. This means that, for the most part, original ideas are few and far between and often those that are truly unique fall flat on their executions in one way or another. It’s rare that any of these style of games executes all elements well, especially for indie developers who usually have to make sacrifices in one element to support another. 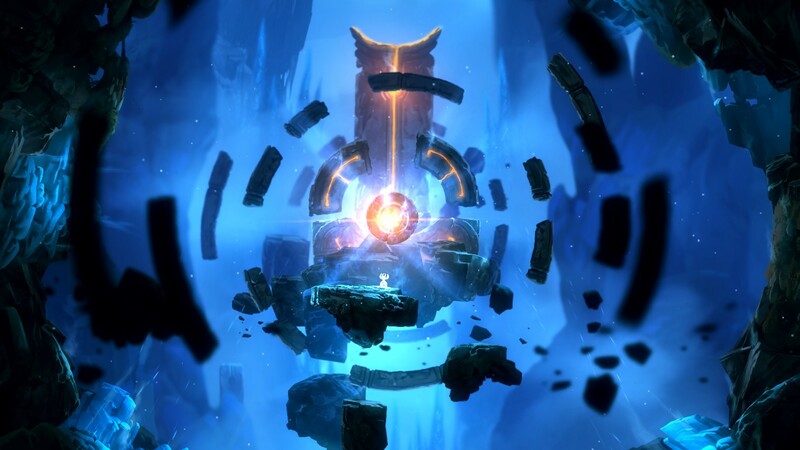 Ori and the Blind Forest however makes no such trade offs with every aspect of the game setting a new standard for what the tried and true puzzle-platformer genre can deliver. Ori is the child of the Spirit Tree, the great entity that provides life to the forest of Nibel. However one day Ori was ripped from the safe arms of the Spirit Tree during a storm and was lost deep in the forest. Thankfully though Naru, a creature of the forest, found Ori and raised it as her own, teaching her to gather apples and build bridges. Then one night the Spirit Tree set the skies on fire, hoping to find its long lost child and have them return home. Those cries went unanswered and the forest began to wither, the elements that supported it no longer being nourished by the spirit tree. Ori now wanders the forest alone, seeking out the Spirit Tree in the hopes of restoring the forest. Ori and the Blind Forest is exceptionally beautiful with an amazing combination of 2D and 3D artwork that seamlessly blends together. The lavish use of glow and lighting effects elevates what would otherwise be a flat environment to a whole new level, giving Ori this kind of dream-like aesthetic that’s simply a joy to behold. Combine this with the absolutely amazing soundtrack and sound design and you have a game that’s, put simply, one of the best looking and sounding games I’ve played in a very long time. My only regret is that I didn’t play it on my new gaming PC (I was on holiday with the family and had my now aging ultrabook with me) as this beauty comes at a cost, although it was still readily playable. 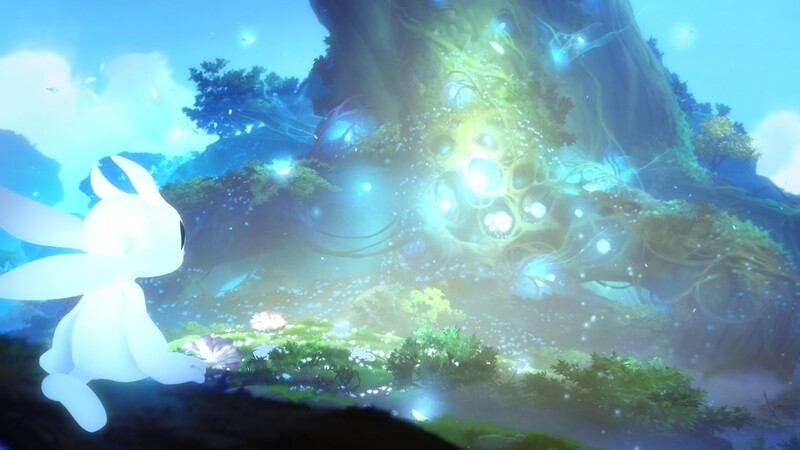 At a gameplay level Ori and the Blind Forest is a puzzle-platformer with a host of additional mechanics thrown in that help differentiate it from this now crowded genre. Sure you’ll still be jumping from platform to platform a lot, trying to figure out how to use each of the abilities you have in order to get the next section, however interspersed with that are combat sections, resource decisions and a myriad of areas to explore that will reward you in many ways. 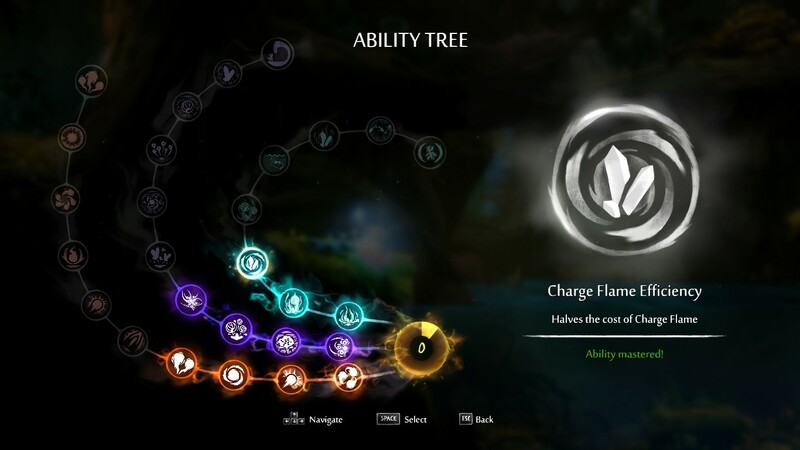 This is then all backed by a three tree talent systems that’s broken down into combat, utility and new abilities that allow you to customize Ori to fit your preferred playstyle. All of these elements are blended seamlessly together so you won’t be slammed with a wall of possibilities the second you start the game. Suffice to say it’s a comprehensive list of features, something you don’t often see in indie titles. The platforming is done exceptionally well, something I’m loathed to admit given how many times I failed on various platforming sections throughout the game. It starts off being very forgiving, with jumps being short and the punishment light, however it slowly escalates to the point where each jump needs to be almost perfectly executed in order to make them and failure will result in you going back to your last checkpoint (which you have to create yourself). For the most part everything works as advertised however there’s a few, let’s call them quirks, of how things work which can catch you out if you forget them. The one notable example I can think of is if you glide, then climb, then jump again (this all requires you holding the shift key down) you won’t then automatically glide again, something which will often result in your untimely demise. The puzzles follow the platforming pretty closely, starting off straightforward and routine in order to introduce the mechanic du’jour and slowly ramping up the difficulty as you progress through a section. You likely won’t find yourself stuck on any one of them for too long however the time it takes you to actually solve them may vary a bit depending on how good your twitch reflexes are. Still apart from one particular section I didn’t feel like the puzzles were overly difficult or unduly punishing to the player and should you invest most of your points in one of the particular talent trees I’m sure the vast majority of the puzzles would’ve been a lot easier. The talent tree and character progression system is also well designed giving you the choice of three different branches to choose from each of which has a specific set of benefits associated with it. It’s gated slightly in terms of further upgrades often requiring a campaign unlock to progress past them however this is more to encourage you to spend your points in the various branches rather than hoarding them for when you get that particular unlock. Indeed the levels come often enough that even after you unlock the next stage you won’t be waiting long to get that ability you’ve been lusting after and, should really want to powerlevel your abilities, there’s hidden ability point orbs all over the map to help you get across the line. 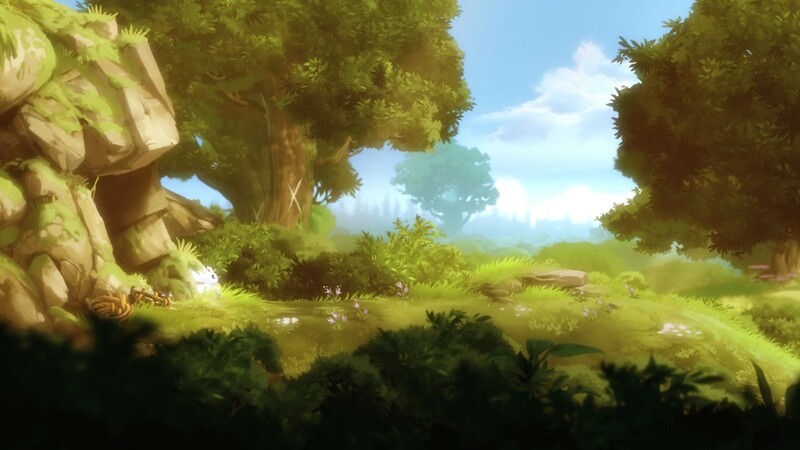 It’s not often that I can say that a game has a near-flawless execution as it’s quite hard to avoid some form of niggling issue or strange quirk but Ori and the Blind Forest has managed to attain that level of polish over its four year development cycle. Indeed apart from the one platforming quirk I mentioned earlier there’s really no other technical fault to speak of however there is one particular section of the game (the final “boss” section) which I take issue with. The instant-death punishment that sends you all the way back to the start of the section, coupled with an extremely short time to gauge what the next section requires you to do, means that you’ll likely end up dying repeatedly to things that you could simply have no way knowing were coming. It is perhaps the only black mark I will count against this otherwise exceptional game but it’s sections like that which have made me stop playing games completely in the past. Bringing this all together is the absolutely brilliant story which, whilst simplistic, is delivered in such a beautiful way that it instantly draws you in and refuses to let go until the ultimate conclusion. I can’t remember a time when a game made me care about the main characters so quickly and then made me empathize even further with characters I either hated or found annoying. The finale is incredibly satisfying to, closing the story out and avoiding the temptation of leaving it open ended for a potential sequel. The fact that I’ve teared up several times recalling the various plot points as I write this review is a testament to the effect it had on me as it really is quite a beautiful story. Ori and the Blind Forest is the game to which all puzzle-platformers will now be compared as it executes near-flawlessly in every aspect. The graphics and artwork are simply stunning with the dreamlike aesthetic providing an amazing backdrop for the beautiful soundtrack and foley work. The core game mechanics are rock solid, requiring you to push your own limits if you want to succeed and progress to the next stage. These characteristics would make it a great game in its own right but the story that binds everything together is what elevates this from being a great game technically to an exemplary title that will be used as the reference point from here on out. I could gush more but honestly you’ll be better served to stop reading now and grabbing yourself a copy of this absolutely brilliant game. Ori and the Blind Forest is available on PC and XboxOne right now for $19.99 on both platforms. Game was played on the PC with approximately 8 hours of total playtime.